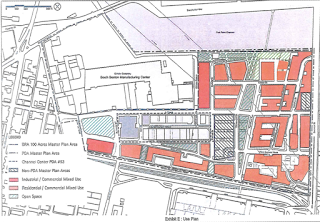 Massport/City Development: Councilor Flaherty called for a hearing on Massport Development Plans for City- or EDIC-owned parcels, especially in the Marine Industrial Park. He noted it was reported that MassPort recently put out an RFP for property, which would be a unique economic development opportunity for the City and seafood industry. However, the site is on a ground lease with 53 years and no guarantee of renewal. Any future changes would have to come before the City Council, so Councilor Flaherty believes that Massport needs to engage with the community and Council now. The matter was assigned to the Committee on Planning & Development for a hearing. Firearm Safety/Gun Violence Prevention Resolution: The Council voted to suspend and pass Councilor Pressley’s resolution in support of HR 2612/S 1473, a bill sponsored by Senator Ed Markey to authorize the appropriation of funds to the Center for Disease Control and Prevention for conducting or supporting research on firearm safety or gun violence prevention – treating gun violence as a public health issue. Under that framework, the federal government should be providing research to support prevention and reduction of gun violence as it would for other public health crises. Youth Development Program Funding: Councilor Campbell submitted her first hearing order today, calling for a review of funding for youth development programs in the public safety context. She emphasized the need for developing proactive, coordinated, systematic programming, because our youth development programs often address mental health services, mentoring, job opportunities for our youth in a way that impacts public safety. She noted that 20,000 people are incarcerated in MA, with the majority returning from state and federal detention facilities to the city of Boston. Many are first exposed to the criminal justice system as youth. At the hearing, she will focus on the need to maximize investments in our youth and hear from young people about what is working. As is Council tradition, all stood and gave her a standing ovation for her first remarks on the Council floor. The matter was sent to the Committee on Public Safety & Criminal Justice for a hearing. Municipal Lobbying: Mayor Walsh submitted a home-rule petition to create regulations on disclosure and registration for lobbying at the city level, modeled after existing State-level regulations. The rules would apply to both executive and legislative lobbying, including communications with all city employees at all levels over government operation. The rules would also include procurement contracts in the regulatory framework. The matter was sent to the Government Operations Committee for a hearing. Check the legislative calendar here for upcoming hearings and working sessions that may interest you and make sure to spread the word. Members of the public are always welcome to attend and speak at Council hearings. Please arrive early to sign-up for public testimony and bring fifteen copies of any written documentation you wish to present.